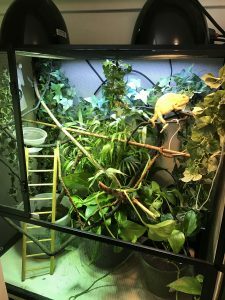 In order to purchase a Chameleon from Chamelicious Chameleons we have a few requirements that are a must before we will ship a chameleon. You must have a cage set up and ready to go with the proper lighting, proper supplements and proper gut loading materials. Aquarium tanks are not acceptable. We will request that you show us pictures of your set up before we will ship a Chameleon. 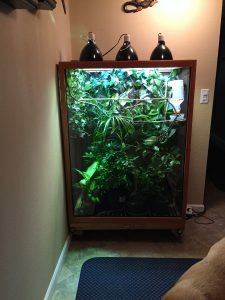 You must have two separate lighting sources for your cage. One is a linear UVB bulb that produces UVB. The other is a heat bulb that produces heat. Compact fluorescent bulbs are not acceptable. 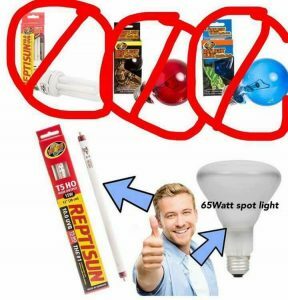 Red light bulbs are not acceptable. 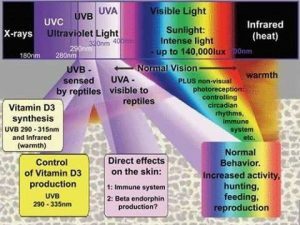 Using only a mercury vapor bulb as your source for UVB is not acceptable. We highly recommend a T5 HO linear UVB bulb. 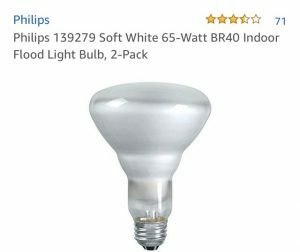 For a heat source we recommend a simple 65 Watt spot bulb. Below are examples of types of bulbs that we recommend. 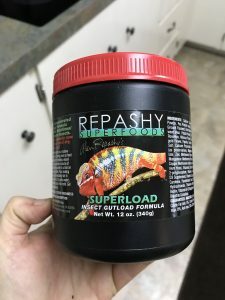 Gut Loading is one of the most important things that you can do for your chameleon. 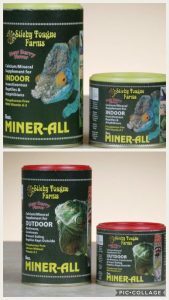 Below are two recommended products to be used to gut load your crickets or roaches. We highly recommend some type of misting system. Trying to spray your cage down 3 to 4 times a day is very difficult to keep the humidity up and can lead to health problems and undo stress. 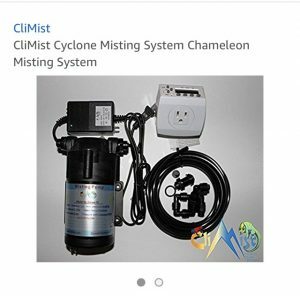 Below is an example of a fairly inexpensive misting system. 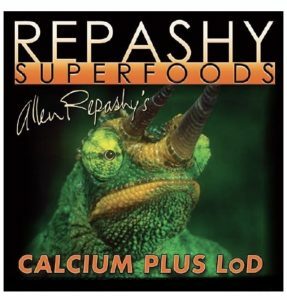 There are various supplementing schedules out there for specific chameleons. Your chameleons have been raised on Repashy Brand and Sticky Tongue. 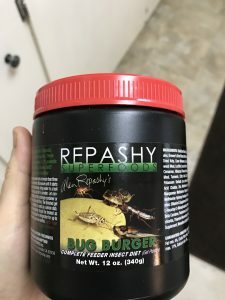 These should be used every third feeding if you are properly gut loading your insects. Cage set up. We highly recommend using screen enclosures as glass enclosures do not provide enough ventilation and contribute to numerous respiratory disorders. Very important to have a lot of foliage for your Chameleon to be able to hide and feel safe. Horizontal sticks for them to perch. The highest horizontal stick should be no less than 12 inches from the basking light. 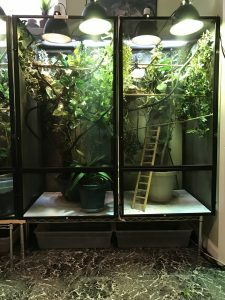 Below are some examples of cages that have the proper amount of foliage.